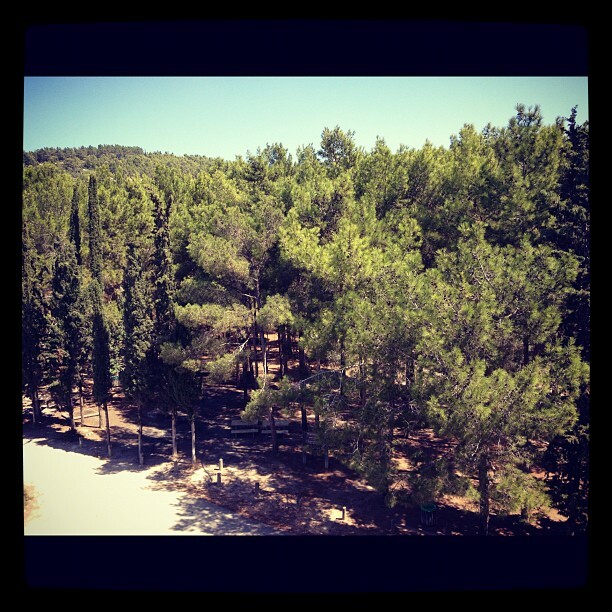 Shabbat Shalom from Israel: Week 1. 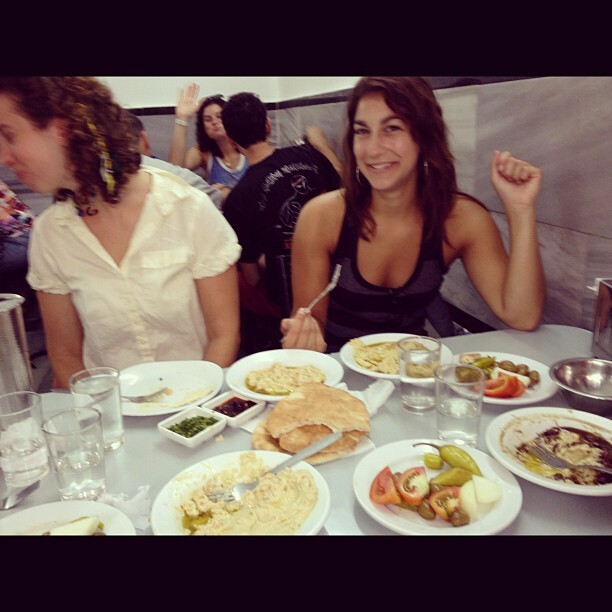 I have made it to Israel, finally, and I could not be happier. I miss you all tremendously, but could not be happier with my decision to move here..(for now, anyway). SO, you want to hear about my happenings. Throughout my updates I will try to address any and all questions I have received from you, so if there’s anything you want to know, post your questions here and I’ll respond here. Sending you love and light <3! 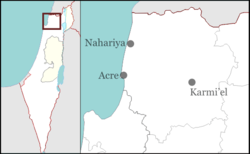 Where I live: Shlomi (Shlomit in Hebrew) is located in the northern part of the Galilee. Population, approximately 6000. 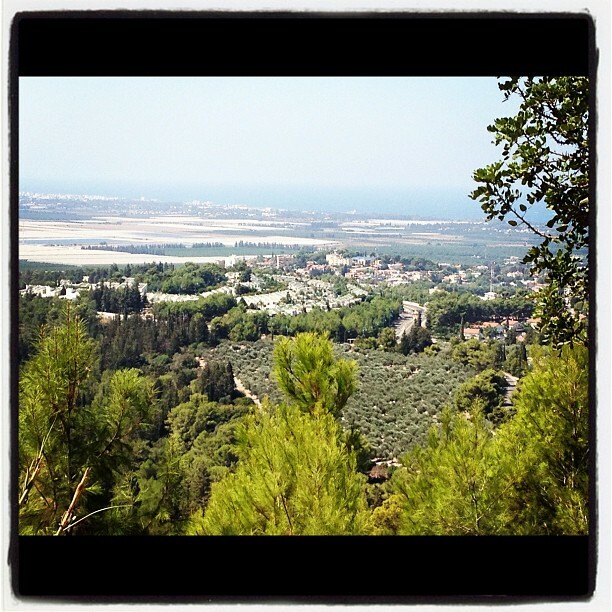 In my beautiful backyard, at the top of the hill, is the Lebanon border. Do not worry, we are safe, but yes, we are very close to Lebanon. I’m not worried, so you shouldn’t be either! Panoramic view of Shlomi. I live in the houses (to the right) with the red roof’s, and I work in the building with the blue roof, in the distance. People on my program: There are 8 people on my program, 4 guys and 4 girls, ages ranging from 22-28. I’m the 2nd oldest, but age thus far is nothing more than a number. We live in 2 apartments below 2 other apartments upstairs. Upstairs live our landlords, 2 brothers and their mother, and downstairs we have 2 apartments, one for the guys and one for the girls. I share a room with Heather, and the other beautiful ladies, Starr and Abby live next door to us. In the guys apartment resides: Andrew, Josh, Jonathan and Justin. Oshra, our madricha is awesome. Her and her family are coming to our house for Shabbat tonight! 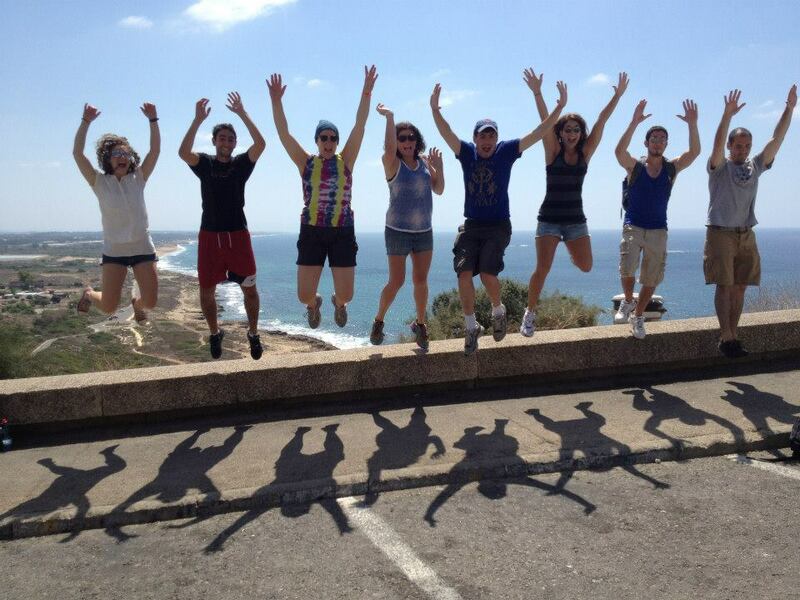 Group jump shot in front of the Mediterranean! Volunteer Program: My group will be volunteering at the local community center. The center or “matnas” in Hebrew offers basketball, tennis, dance, music, art, ZUMBA, (my personal favorite, and i’m hoping to have the opportunity to teach a couple of these classes), and many other activities to young children, teenagers, the elder community and the special needs community. The center is about a 15 minute walk away from our apartment and a 20 minute walk back. (Downhill there, uphill on the way back). 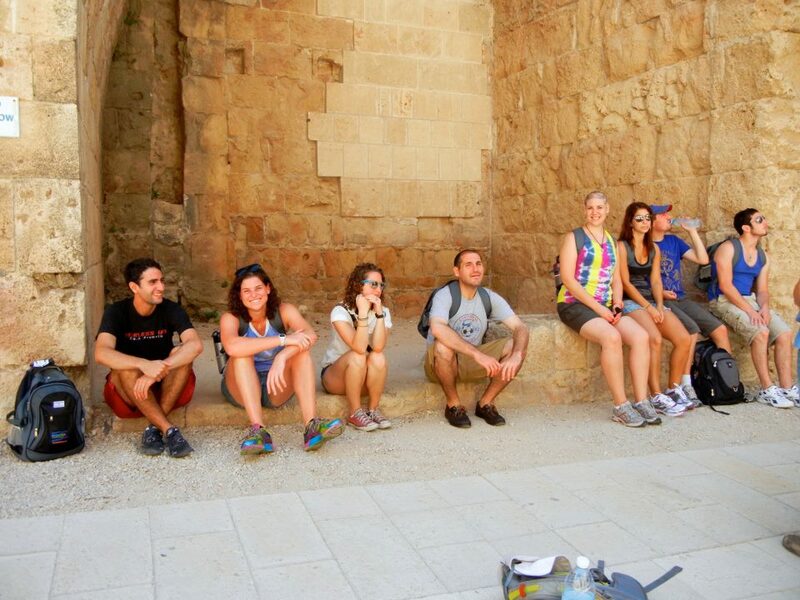 Day Trips: We will be going on many day trips as a group and with other individuals on similar trips in Israel, throughout our time here. On Thursday we went to the city of Akko, and amazing city built on top of another city, built on top of another city. Absolutely amazing and they are still continuing to dig and find more remains of the old cities, while remodeling what has fallen apart, to keep the historical site in tact. We went on a walking tour of Akko and then went to the shuk in Akko (the open market) where there happens to be a famous Hummus Restaurant called “Hummus Said (pronounced Sah-eed).” This delicious Hummus was my first taste of Israeli Hummus this time in Israel, and I will be returning to that delicious restaurant. 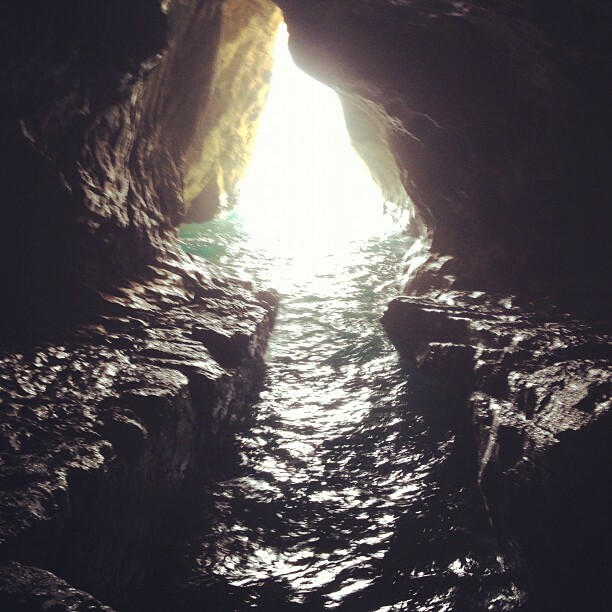 After our tour of Akko, we went to Rosh Hanikra, “the Grottos,” enjoyed the view of the Mediterranean, and the sound of the crashing of the water with the stones. Interestingly, sea turtles lay their eggs in the sand in front of Rosh Hanikra so between the months of April and November (if my memory serves me correctly, I might have made up those dates), there is no camping allowed on the beach, so as not to disturb the turtles below! 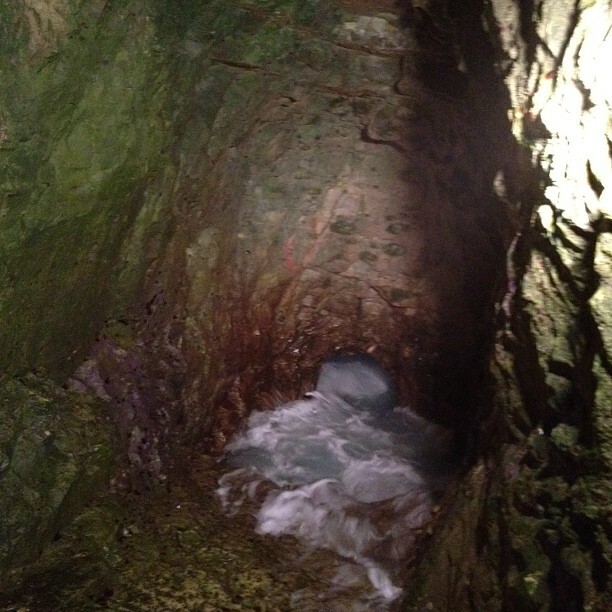 “The Whales Maw” – this grotto told a story about feeling like we were in a Whales Belly, like in the story of Jonah and the whale. I just finished baking Challah with my roommates and one of our male teachers, David, and am now going to make a Chickpea dish for dinner tonight, my vegetarian contribution to dinner. If I have time, I will go for a run in the Hanita Forest, my next door neighbor!